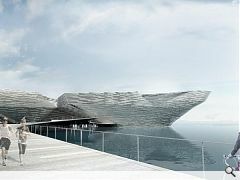 With the Japanese practice of Kengo Kuma & Associates emerging victorious in the V&A at Dundee design competition Urban Realm decided to undertake a closer investigation of the proposals by speaking to some of those involved at the heart of the competition process. 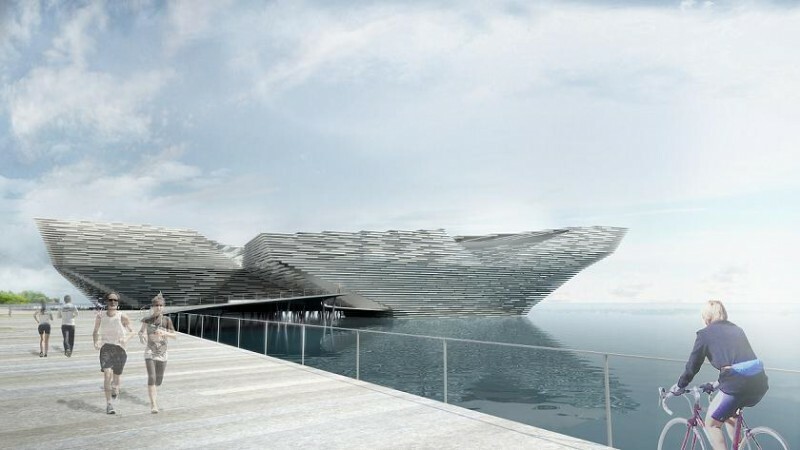 Developed by Design Dundee Ltd (DDL), a consortium which includes the V&A, Scottish Enterprise, Dundee City Council and the Universities of Abertay and Dundee the project is intended to become Scotland’s leading centre for design on a prominent site at Craig Harbour on the banks of the River Tay. But will this northern design outpost become the jewel in Dundee’s waterfront necklace, or a millstone around the city’s neck? 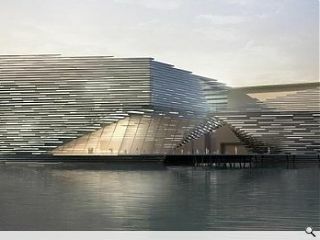 Kuma’s win culminates an international hunt for a £47m structure that will anchor Dundee’s waterfront regeneration, a process saw Delugan Meissl Associated Architects, REX with RMJM, Snøhetta with Gareth Hoskins Architects, Steven Holl Architects and Sutherland Hussey Architects go head to head at a city exhibition. But the process has not been without controversy. Sources close to the competition voiced concern to Urban Realm over the viability of the Kuma scheme, stating that though a worthy design it is essentially unviable at its stated cost. Indeed such is the consternation over this that at least one party has stated that there is a “likelihood” of seeking legal advice over whether to pursue damages and the recovery of costs incurred by the competition. Further cause for concern has also been levelled at an alleged lack of weighting given to the public consultation, despite the judging panel attributing it as a ‘significant consideration’. The process saw the REX/RMJM design winning 42% approval in one of the local surveys, higher than the Kuma entry which came second. Whether or not the project ever comes to fruition is of course another matter in any event, the future of the project will be decided when the Scottish Government confirm whether they will splash £15m on the scheme when they approve their budget. The remainder of the funding is set to come from European, lottery and private sector donors. The V&A themselves will not be providing a penny to the project and nor will there be a permanent V&A exhibition, instead it has signed a 20 year deal to send two or three travelling exhibitions there each year. But don’t hold your breath.